Apologies regarding a Defect in Our Automated Reply System. We were unable to provide accurate replies due to a defect that occurred in our automated reply system (displayed in the bottom-right corner of the screen) on the 9th and 10th of January. Please send your inquiry again so that we may provide accurate service. 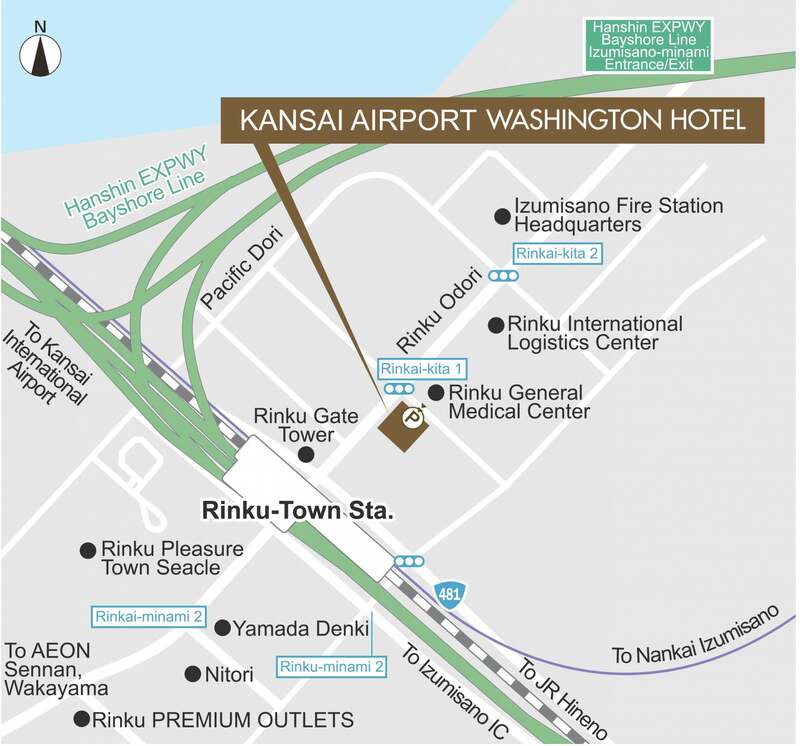 Kansai Airport Washington Hotel is located in Rinku, a town located on the shore opposite from Kansai International Airport (KIX). (SHUTTLE BUS TIME TABLE) KIX is the first 24-hour international airport in Japan to become a hub for the Asia-Pacific region.